SINGAPORE - 20 DEC 2013: Gardens by the Bay night light and sound show - also known as the Garden Rhapsody. 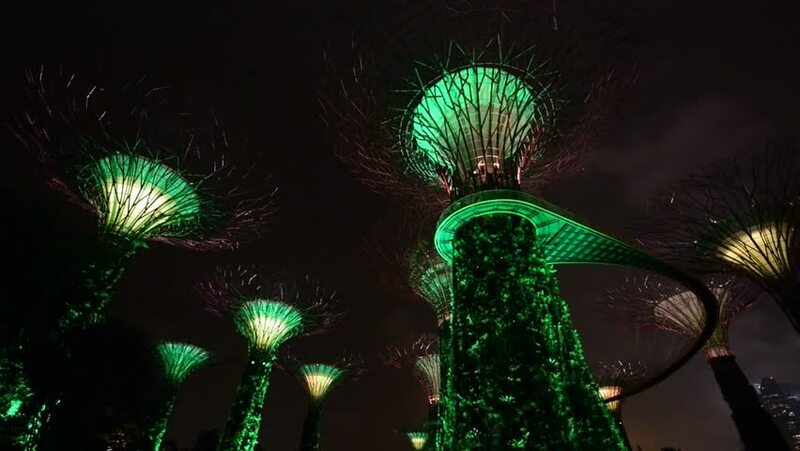 4k00:44SINGGAPORE CITY, SINGGAPORE - DECEMBER 31, 2017: Countdown year 2017 at super tree grove in the Gardens by the Bay and Marina Bay Sands in Singapore at night. 4k01:00YOKOHAMA, KANAGAWA / JAPAN - SEPTEMBER 8 2018 : Fireworks of "Minatomirai Smart Festival 2018". A colorful sequential fireworks colored the night port. Many audience cheered. hd00:20Time lapse of fireworks over the yacht harbor on a windy evening.